Yesterday was a lovely day. Bright, sunny, and the temperatures were well above freezing, so most of the snow melted. Inside, the Lily of the Valley are at their peak and seem to taunt the Winter outside. "You can't touch us, you can't frost us." There are microgreens sprouting in the sunroom and a basket full of seed catalogs sitting beside my favorite chair, from where I can look out occasionally and see birds stopping by the feeders. Does all this make winter my favorite gardening season? But it does make it one of the most restful of all the gardening seasons*, and that's good enough for me. *Every season is a gardening season for me. Isn't it for you? - move to the Southern Hemisphere? I love every season, including winter when it is resting, reading, reflecting season, with just a few potted plants to care for and enjoy. I love all four seasons for their differences. Winter has so much to offer that wouldn't be possible at different times of year, snowdrops, hellebores, red stemmed cornus to name but a few. Every season is gardening season..just a matter of where you garden...inside or out! 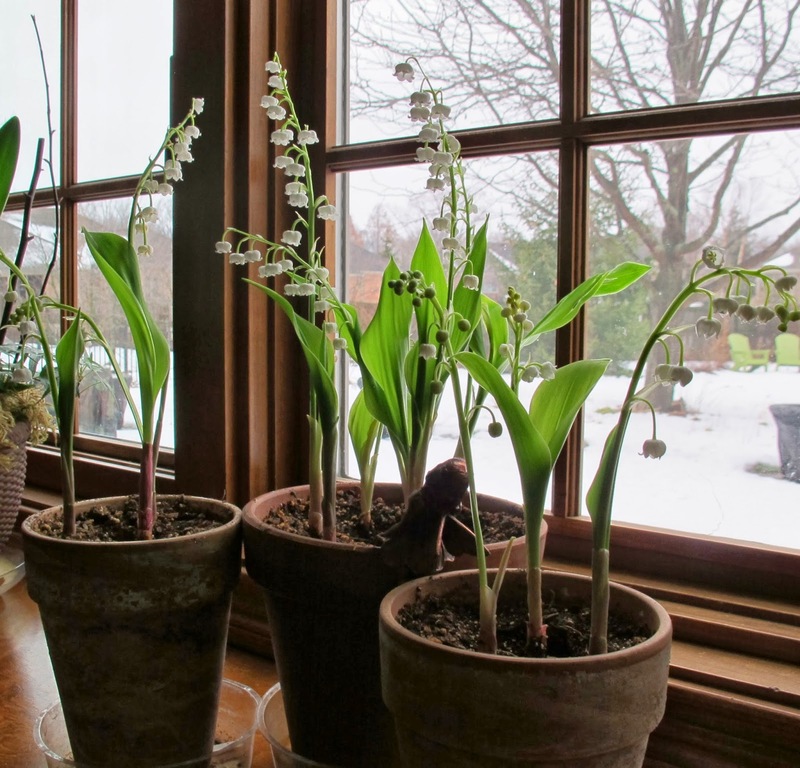 Flowering plants such as christmas cactus and amaryllis on the windowsill are a joy in winter just as your Lily of the Valley are-a nice idea. Lily of the Valley! Why didn't I think of that? Maybe I was too busy with Hyacinth bulbs and mugs of Alternanthera cuttings and bitty Begonias. Writing LoV down for next year. By May, I'll long for the coolness of January here but not for the freezes. I too never thought about lily of the valley inside.....I am going to try that. I have a few I can spare from outside. I am going to be working on my own backyard landscaping this year. We just put in a deck and lost some tree in a storm last year. My yard is a blank canvas of sorts.